Celebrating over TWO Decades Of Fidonet Bulletin Board System Access! Back before the Internet was available to the general public there were computer bulletin board systems (BBS.) To access a BBS callers used a modem and terminal program to dial up and exchange messages. 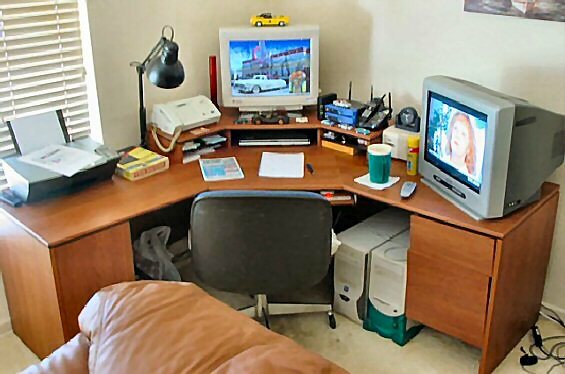 Doc’s hobby for the last 26 years had been computing and communicating online. He started Doc’s Place BBS Online as a community bulletin board system providing auto repair advice to consumers in 1991. Click the Wildcat Logo to your left to access the BBS which is independent of this website. Telnet BBS access is available with any terminal that supports ansibbs at bbs.fidosysop.org on port 26. QWK mail packet downloads are available via Telnet terminal that supports file transfers. NetTerm is the best in our opinion and available in our bbs file area. We also support QWK mail by web browser. 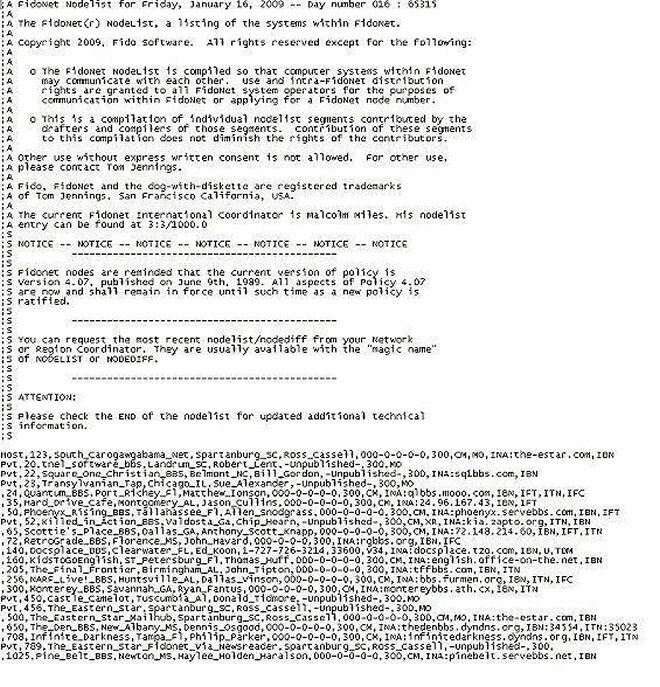 Our BBS System Newsletter dates back to 1998 and is an excellent source of Internet bulletin board system history. Those were the good old days. The sweet sound of the modems dialing and connecting / hand shaking was so cool. 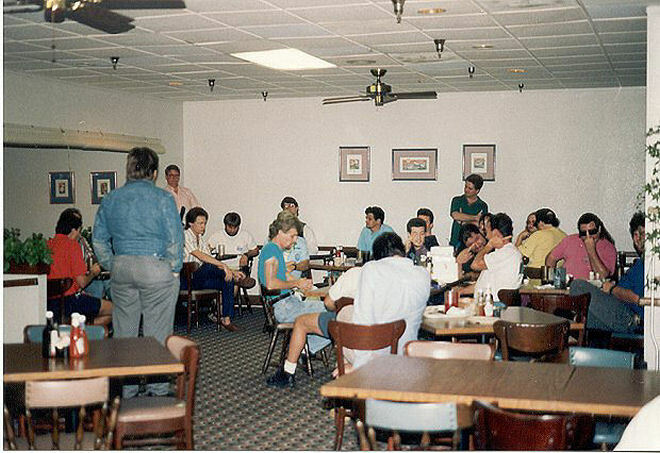 Doc’s Place BBS Online – AKA The Droolnet Headquarters was the 3rd largest system in Pinellas Net 3603 back then. PinellasNet 3603 at it’s peak had around 170 local bbs’s at it’s peak. We ran DOS 5.0 and QEMM / Desqview multitasking and memory manager and that combination was rock solid. It easily ran 4 Nodes of Wildcat 4 Dos in 4 separate non-graphical windows. The PC i ran back then was an old 386/40 with 768k ram. And we thought those systems were FAST back then! We had 2 US Robotics 16.8 Dual Standard modems, and 2 generic 14.4 bps modems under the BBS monitor. And as you can see in this photo three of them were in use when the photo was taken. The system on the left ran D’Bridge FTSC mailer processing echo-mail and net-mail messages downloaded from droolnets satellite feed. This was a slow 12 hour feed that was repeated if packets were lost. The message replies still had to be uploaded by modem. 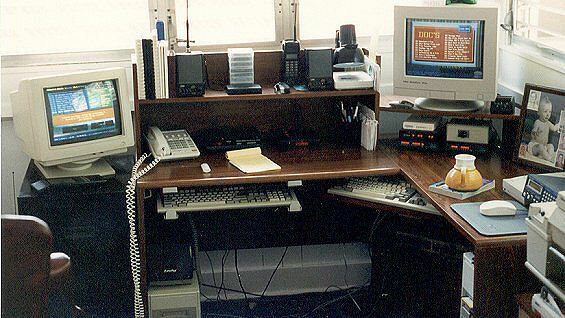 The BBS computer is on the right. Doc’s Place BBS ditched it’s last dial up line in 2000 and upgraded to allow access from the internet. In essence this BBS telnet tour video is exactly what a dial up system looked like back in the old days before Windows. This photo was taken at one of our PinellasNet 3603 sysops meeting. We got together once a month to exchange information and have a good time. This was our Pinellas County Florida local Fidonet Network. All our computers were configured to dial up others using a program called a mailer. I ran D’Bridge while many ran a program called Front Door. These mailers sent/picked up everyone’s messages/files. One member in Net 3603 wore the NEC hat (network echomail coordinator.) The NEC handled the nets mail and sent it to a regional hub during zone mail hour (ZMH.) Long distance tolls were the lowest during the early morning hours. Each state had a regional hub who connected to a national hub, who distributed it during ZMH every night. During this hourly window human callers were not allowed until the mail was sent on its journey. 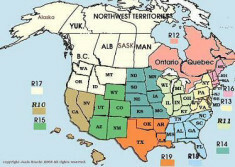 Once everything was exchanged within the United States/Canada (zone 1.) The national hub called overseas and made that exchange of echomail messages. There were 6 zones world wide. Echo-mail as it was called back then was done by copying messages to each Fidonet members bulletin boards world wide. Messages could go round the world in 24 hours, back then. Echo-mail was the predecessor of threaded discussion boards and Facebook groups we use today. 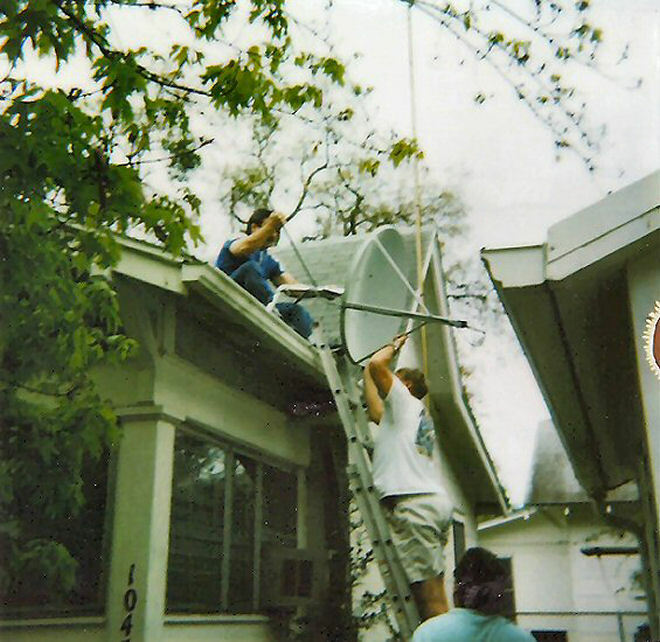 The 3 foot satellite dish was gaining popularity in 1994 and several of us “droolers” chipped in and bought one. 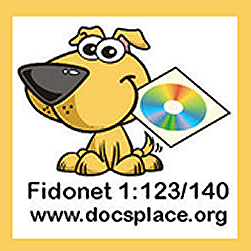 It enabled us to receive all the days Fidonet echo-mail and shareware computer files from a service called Planet Connect. It was really slow and took about 12 hours to receive the days feed. This feed was repeated a second time if a few files were missed during the 1st transmission. Planet Connect was also only a one way feed so any message replies had to be uploaded by modem. Things went fine for a few months until someone snitched me out to the city of St Petersburg building codes division. The city wanted a permit for it’s installation on the roof. We later found out they wanted a structural engineer to certify it’s installation would withstand 115 MPH winds. Calling around I found one that would do it for 250.00. Unfortunately he wanted the roof trusses strengthened before he would put his seal on the permit. That was enough of the city of St. Petersburg’s Crap! Being in the car business at the time his old Datsun F-10 with cold air was purchased for $100.00. We put a 30 day temporary tag on it so it would be street legal. The car was parked in front of my house. 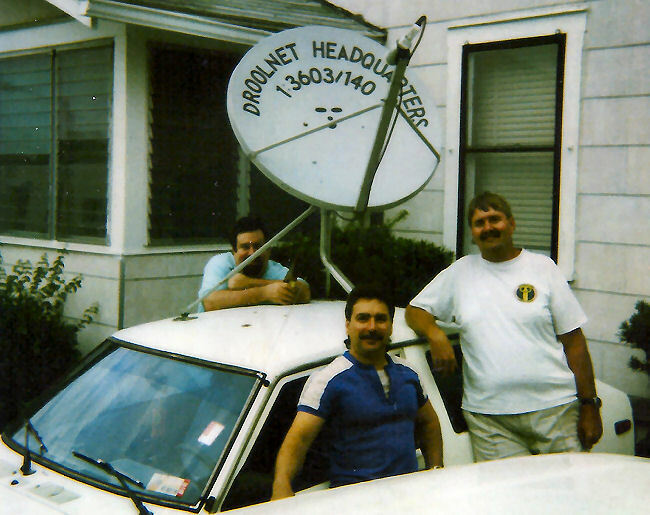 We then took the dish off the house roof and mounted it on the car. 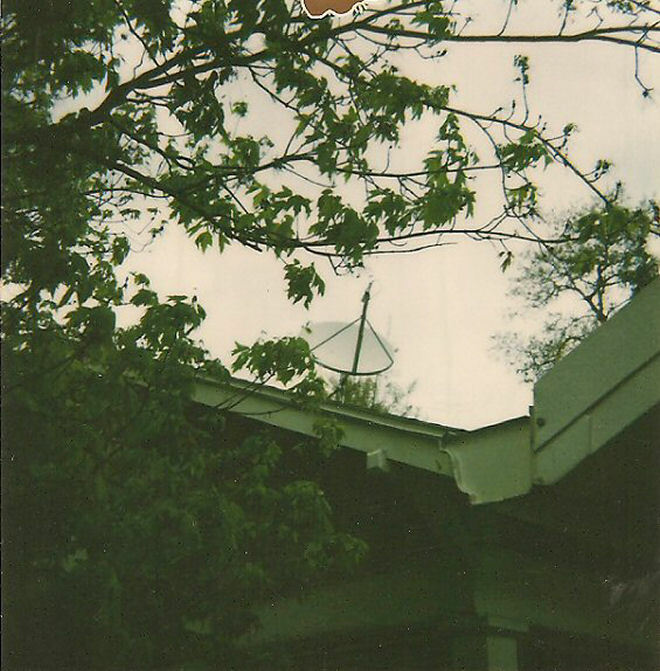 One of the net’s members Jacob Eagle Eyes not pictured put the lettering on the dish. 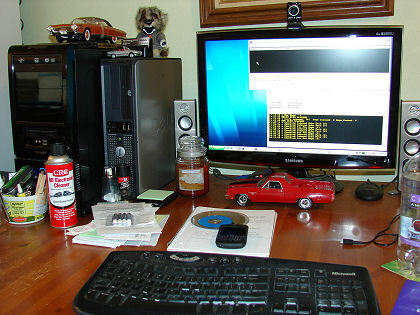 Pictured are Bob Tarallo (computer vision bbs, left) Doc on the right, and Jortis Webb (bubbas basement bbs, in the rear). Dial up bbs’s were folding left and right, and the old net 3603 finally died around 1997. All that were left was NEC and myself. Doc’s Place had earlier upgraded it’s old dos bbs software Wildcat V4. We upgraded to the newest version Wildcat V5. It was a true 32 bit software package that ran under Windows 95, but wouldn’t run one day without crashing. It was then loaded it on a Windows NT4 Server machine and found the combination to be rock solid. But NT4 suffered from the blues screen of death and hard crashed routinely. Otherwise Doc’s Place BBS ran great. 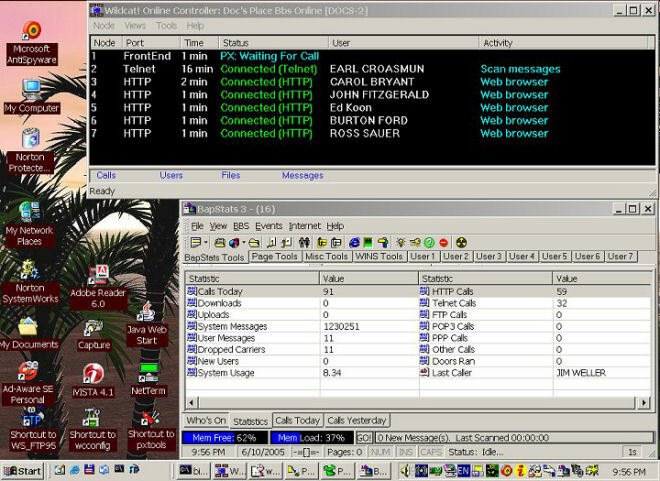 Still running 3 dial up lines with maybe 2-4 callers daily, Doc’s Place BBS was connected to the internet in 1998. We had a dual channel ISDN connection and at 128k was smoking fast – compared to 56k dial up. This allowed dialing up and connect to the bbs using it as a gateway to surf the net. 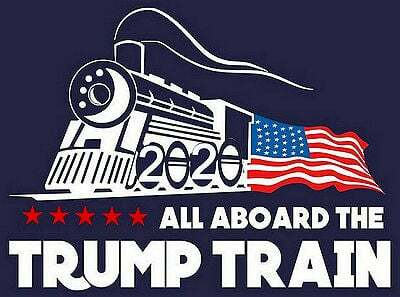 But otherwise the system got very little use. Then the idea came to Doc to offer an internet BBS for those who lost their local bbs to the internet. We had a 10 node Wildcat 5 version and an internet connection. Then came up with an idea for this bbs advertisement. And to this day Doc’s Place BBS lives on. Calls are way down from 1998 but we’re still online. Lots of our callers are either elderly or passed away. Modern computers and operating systems, social networks have done a number on the BBS scene. We System Operators (SysOps) were the pioneers of personal messaging as you know it today. Doc’s Place BBS in 2007 – Still going strong. I miss my big corner desk! In 2014 Doc’s Place BBS Online lives on, running on a cable net connection in my home. It is running under Windows XP Professional, and has ran unattended for well over a month without a reboot. Hardware is a dedicated Dell Optiplex GX-520 with an Intel P4, 2.6 with 2 gigs of ram. You can check it out here with your web browser or you can telnet in on port 26 and see the bbs like the old timers did with a terminal program.